Syrah Resources has started commercial production at the Balama graphite operation in Mozambique, southeast Africa, following a review of its monthly metrics. 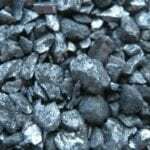 The Melbourne-based company achieved average graphite recovery of 70 per cent in the fourth quarter of 2018, up from 53 per cent in the previous quarter. The open-pit Balama project hosts reserves of 1.19 billion tonnes of ore at an average of 11 per cent recovery for 128.5 million tonnes of contained graphite. 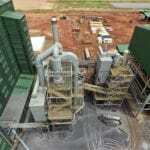 The project also possesses a 350,000 tonnes per year nameplate capacity. Syrah managing director and chief executive officer Shaun Verner called it a “key milestone” for the company. “The milestone has been reached through coordinated effort across the entire Syrah team, particularly through the dedication of the Balama operations team,” he said. Syrah completed its mining agreement for Balama last September, allowing the company to mine graphite and vanadium at the site until 2038. The company suffered a setback in early October 2018 when a fire broke out, damaging the plant’s primary classifier. This resulted in a replacement cost of $US500,000. ($693,680), as well as a five-week delay to production and loss of 30,000 tonnes to fourth quarter earnings. Syrah expects to release further details of the company’s fourth quarter performance in the company’s next quarterly report on January 30. The project is in the Cabo Delgado province in northern Mozambique, also the location of Battery Minerals’ Balama Central project. Like Battery Minerals, Syrah is targeting the battery industry as a primary customer for its natural flake graphite product.